Veikko Puolakainen has worked in the legal field since 1998 with experience as a corporate lawyer as well as an attorney in a smaller and medium-sized law office. For the last six years, Veikko has worked in the litigation team of Sorainen – one of the leading law offices in the Baltic region. 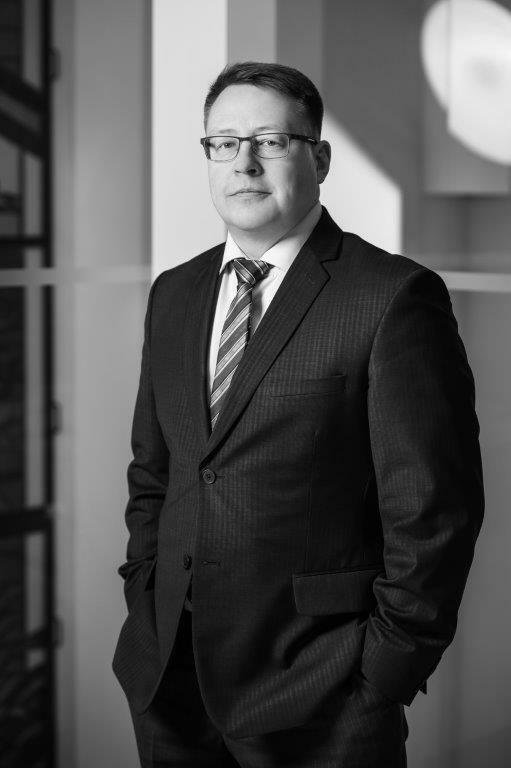 Veikko is particularly focused on civil and administrative litigation, and has represented clients in all court instances in the Republic of Estonia. In addition he has represented clients before extrajudicial dispute resolution bodies (lease committee, labour dispute committee) and in challenge proceedings. An important part of his work has revolved around different disputes related to the law of obligations (disputes resulting from contractual and extra-contractual relations), corporate law (disputes between shareholders, responsibilities of the board members), as well as real estate and construction law. Veikko is also highly experienced in disputes concerning bankruptcy and enforcement proceedings (including representing clients in bankruptcy proceedings and in cross-border proceedings). He has also dealt with specific misdemeanour procedures in the financial law field (representing a client in a capital market manipulation case). Veikko also has significant experience in recognition proceedings of court resolutions from abroad. Veikko has been involved in several major cases which have resulted as precedent cases in the Supreme Court of Estonia, thus having an impact to the current legal practice. • Best Lawyers, concerning litigations, but also in the fields of bankruptcy act and reorganisation act. • Legal 500, concerning dispute resolution: „Senior associate Veikko Puolakainen has wide experience and convincing court room presence“.